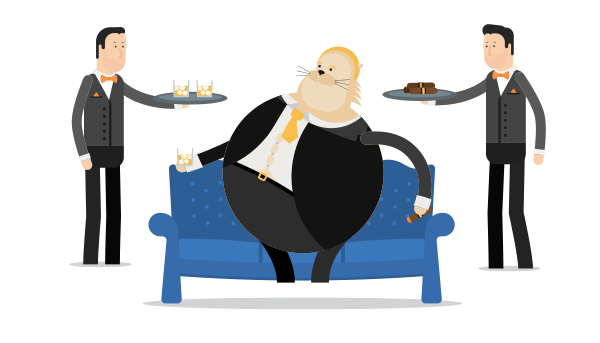 To deliver our campaign message in an engaging and interesting way, we developed a series of cartoon characters to represent the common metaphor of a “Fat Cat” – a selfish and greedy person who takes advantage of others for their own personal gain. We wanted to have a bit of fun with the creative and came up with scenarios where the industry Fat Cats were enjoying the spoils of their high-fee ways. 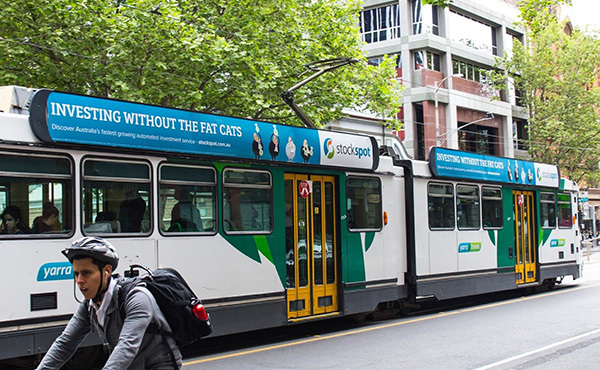 The Fat Cat characters then formed part of our advertising across social media, online, buses, trains, trams and billboards in Sydney, Melbourne, Brisbane and Adelaide. 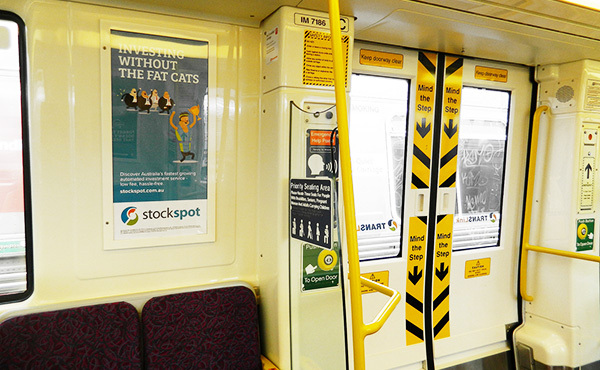 Scroll to see our ads in various Australian cities. 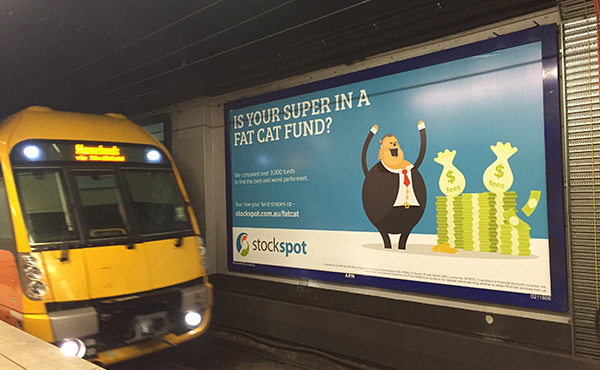 We also released our 2015 Fat Cat Funds Report in November, which looked into how fees are eating into investment and superannuation savings of ordinary Australians. The report was the largest independent analysis of super funds and managed funds in Australia outside of the regulators. We analysed over 3,300 funds and gave each fund a rating out of 5 based on its performance and fees over a 5-year period. Five characters were created to represent each rating level. 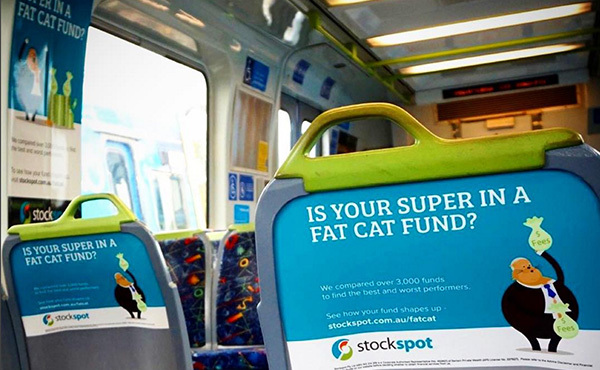 Funds that consistently outperformed over long periods were recognised as ‘Fit Cat funds’ and funds that failed to perform, aptly named ‘Fat Cat funds’. 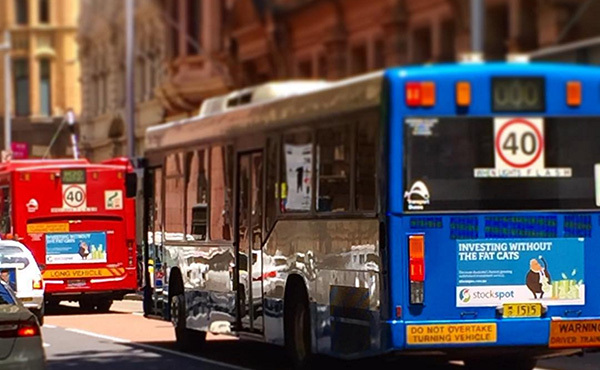 The report attracted extensive newspaper, television and radio coverage – including The Sydney Morning Herald, The Huffington Post, ABC, Channel 9, Money Magazine and consumer advocacy group CHOICE. Alongside the report we actively pushed for more Australians to take notice of their super and for the Government to improve the availability and access to data that would enable consumers to easily and accurately compare funds. We also helped over 25,000 Australians compare their super fund with the free comparison widget we made available on our website. While the majority of feedback has been extremely positive, our fictitious cats did cause some controversy with a small percentage of the public. 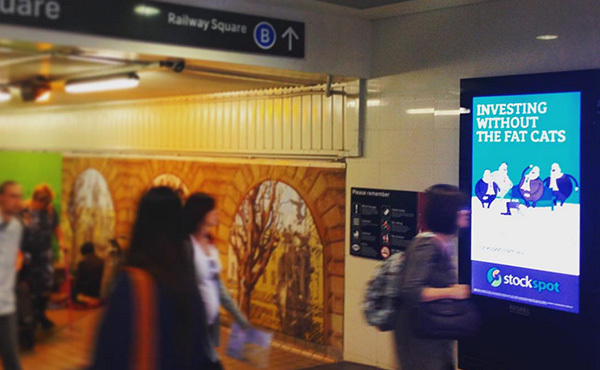 We received a complaint about this particular billboard at Town Hall Station in Sydney on the basis that the viewer found the ad to be discriminatory towards “white men in their fifties”. To any people or cats we offended – that was not our intention. 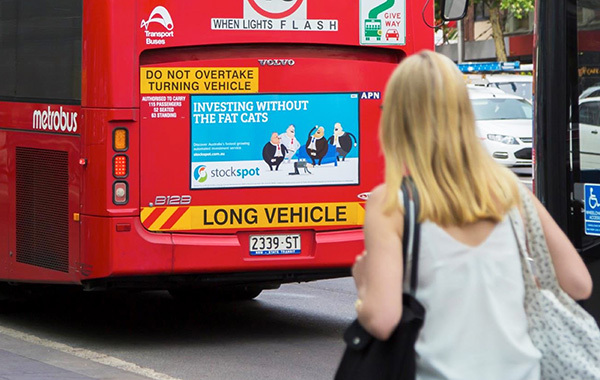 Our mission to fight hidden fees and conflicts of interest in financial services forges ahead beyond the Investing Without The Fat Cats campaign. We will keep raising awareness about money issues that impact consumers and will be publishing the 2016 Fat Cat Funds Report later this year. Transparency and fairness have always been two of our core values. 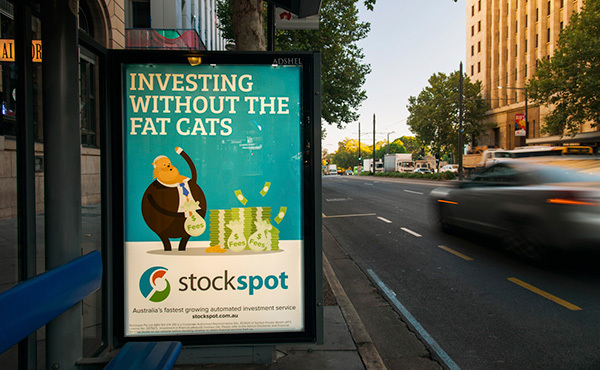 Stockspot was created to offer Australians a fair and trustworthy alternative to traditional investment services. We look forward to the day when all Australians can feel confident that their financial goals come first regardless of how they access financial products or advice. 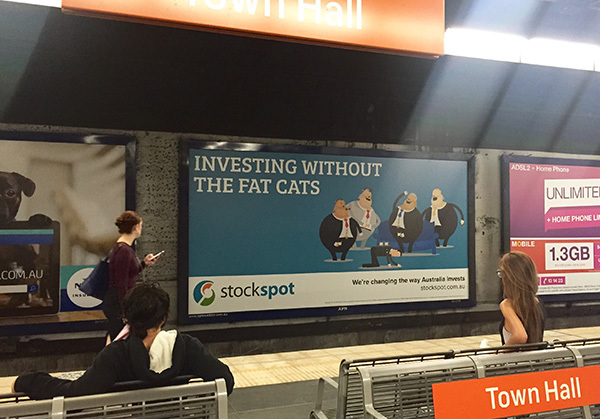 We hope the Fat Cat campaign has had some impact on making more people engaged about how their money is managed.